Na-na-na-na BATMAN! Let’s start the new year off with a POW! – superhero style! My son is really getting into superheroes, so homemade sparkly play dough and matching bags seemed perfect for his party! Making homemade stencils is inexpensive, easy, and fun! Plus, you can use the stencil for other creative projects! Plus, printable tags and stencil are included! 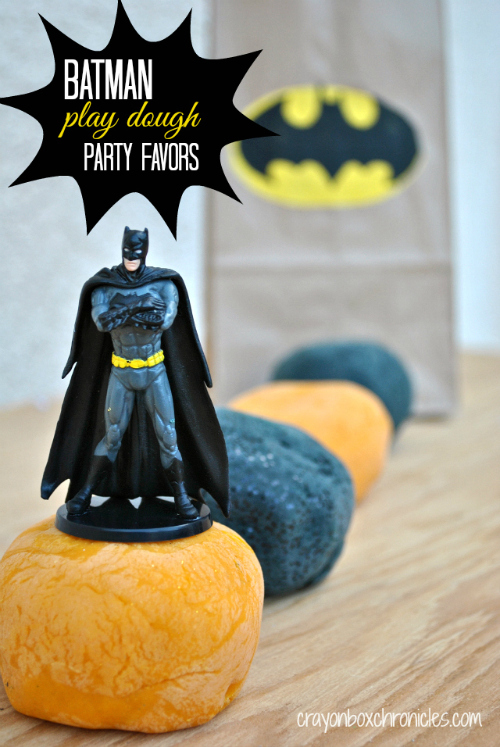 Whether you’re having a party or not, superhero play dough is fun for everyday play too! It even sparkles! Homemade play recipes are a great way to encourage sensory stimulation and imaginative play. 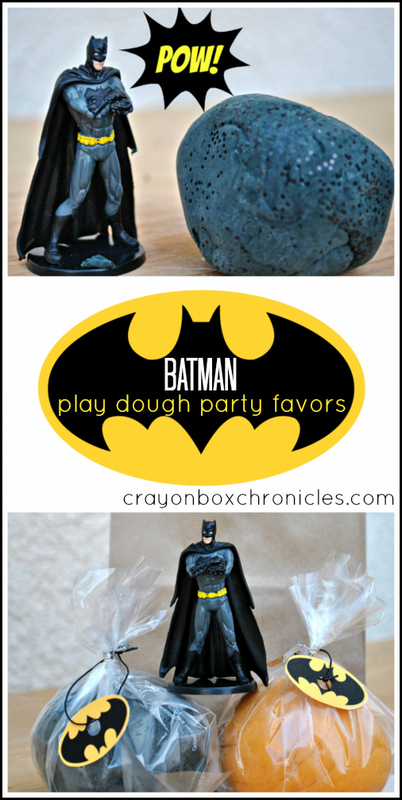 For the full superhero experience, see Batman Play Dough & Party Favors at All For The Boys blog. For free updates on all our activities, please consider Subscribing by Email or RSS Feed. Connect with us on Facebook, Pinterest, Twitter, Goggle+. Thanks for hosting. My son is just getting into them and it’s so fun! Thanks again.